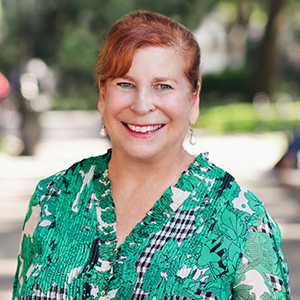 Dynamic real estate veteran Joanne Firstenberg offers an all-encompassing grasp of New York City real estate bolstered by her 35 years' experience as a licensed real estate broker, attorney and corporate executive. Known for delivering fierce tenacity and amiable wit in equal measure, clients repeatedly praise Joanne's surefooted grasp of the market and its many intricacies. With a long track record of success and record-setting deals that spans across Manhattan, she excels at handling complex and sensitive transactions for buyers and sellers of every experience level. As a real estate investor and landlord herself, she's also a sought-after resource for both new and seasoned investors. After holding a real estate license for more than 20 years, Joanne came into the profession full time over a decade ago. Prior to that, she earned a distinguished reputation in corporate life serving in senior positions, including CEO, COO and general counsel. She has also served on several boards of directors for companies both public and private. Joanne is a native New Yorker who has lived and worked all over the world, including in Hong Kong, London, India, New Orleans and Las Vegas.